SHIFTboston is driving design advancement through annual international interdisciplinary design competitions. Through inspirational exhibitions, forums and events resulting from these competitions, we promote design excellence in architecture, science and technology beyond the design community to government and business leaders and to the general public. In support of the Massachusetts Department of Transportation's South Coast Rail Economic Development and Land Use Corridor Plan, SHIFTboston challenged urban planners, architects, urban designers, designers and landscape architects to explore and visualize destinations along the proposed South Coast Rail extension, which will connect Boston to Taunton, New Bedford, and Fall River, Massachusetts. Competitors were asked to develop a concept to design an experience installation on a barge in Boston's Fort Point Channel. Designers were encouraged to create a unique sensory experience for barge visitors by experimenting with a variety of interesting materials and applications in order to provide a tactile, olfactory, and visual experience. Inspired by the official confirmation of the discovery of H2O on the moon in November 2009, this international design competition brought together the architecture and astronautics industries. We collected visions reimagining the Moon as a new destination. Radical ideas for new lunar elements such as rovers, growing pods, inflatable structures, droids, clothing, and habitats were encouraged. 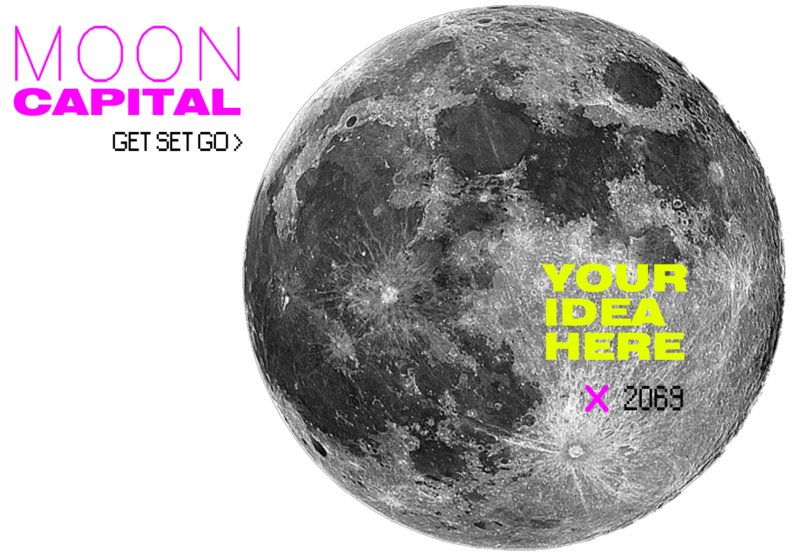 Envision an entire lunar city or new Moon culture? What would it look like? Sound like? 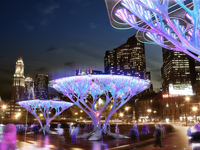 This inaugural competition sought wild provocative visions that would enhance and electrify the urban experience in Boston. Competitors were encouraged to explore topics such as the future city, energy efficiency, and ecological urbanism by reimagining innovative, radical concepts for new city elements such as public art, landscape, architecture, urban intervention and transportation.